I Hope I Dont Fall In Love With You – music. travel. repeat. Tom Waits to me is a living legend/relic from from 70’s era folk rock music that should have a presence in every music lovers catalog. With a voice that was best described by critic Daniel Durchholz as sounding “like it was soaked in a vat of bourbon, left hanging in the smokehouse for a few months, and then taken outside and run over with a car, ” Waits sings with an authenticity and passion that cannot be rivaled. I also see one of my present day favorites, Ray LaMontagne, as coming directly from Waits’ musical lineage. 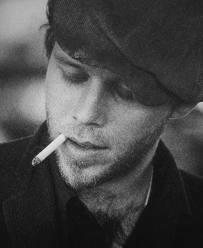 The song I’ll share of Waits to me exemplifies his ruggedness and honesty all wrapped into one, and its called “I Hope I Dont Fall In Love With You” from his debut 1973 album Closing Time. Enjoy!